Despite its appearance, this theater was built in 1918 on the site of a previous theater and is substantially modeled on La Scala. It was originally called the Esperanza Iris Theater for the singer of that time, who helped pay for it, but it was superseded as the city's premiere cultural venue by the Palacio de Bellas Artes. After Iris' death in 1962, the city took ownership and changed the name. 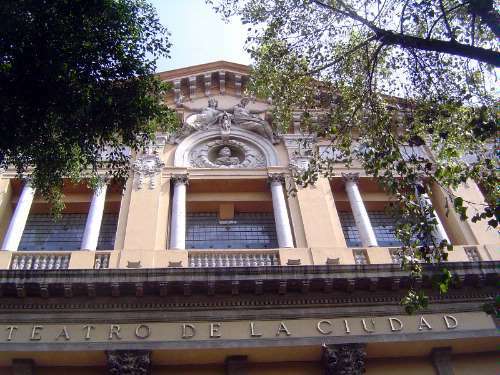 The facade was almost entirely rebuilt, but in 2008, despite the sign on the front, the theater was back in business with a very long name, the Teatro de la Ciudad "Esperanza Iris."